Mr. Hoffkins started his own practice in 1992 with a determination to provide outstanding courtroom representation to clients. Whether the cases involve a person injured in an auto accident or a person going through a difficult divorce, Mr. Hoffkins always makes a commitment to listening to all of his clients needs, developing a strong case strategy, aggressively negotiating a good settlement and zealous representation at trial. A client who was totally incapacitated after having been the victim of two auto collisions in the same day. This case presented serious legal difficulties in proving which of the other cars caused what amount of her injuries. In the end, Attorney Hoffkins received the full amount of the auto insurance coverage the other two defendants. A client who suffered a traumatic brain injury after having suffered previous traumatic brain injury over a decade earlier. This case was extremely complicated in two ways. First, traumatic brain injury cases are always difficult to prove, for this injury does not show up on an X-ray or MRI. Second we had to prove how much more brain damage occurred as a result of the second incident, which was difficult since the client's changes in behavior were very subtle. Attorney Hoffkins achieved a substantial settlement for his client. A client who was hit by a truck that was operated by an international industrial corporation, and received a herniated disc in his lumbar spine. This case was extremely difficult, since the international corporation tried to hide behind a web of several separate corporate entities. Attorney Hoffkins immediately filed an action in court, and went to work using the discovery process to get the corporation to provide the information about the appropriate corporation to use as the defendant. The end result was a settlement in excess of $100,000. A difficult case involving a child custody and visitation dispute which was complicated by the client's visa status. The client was the mother, but her visa status was dependent on her husband. If she got divorced she would be forced to leave the country, while the husband was determined to remain here. This case was complicated for the judges had to be educated about the finer points of immigration law which they do not normally know. In the end, Attorney Hoffkins achieved a settlement in which the mother remained in the country and had a fair custody arrangement with the father. A client who's wife had taken the child from the family home and denied him access to the child, and did not tell him of her whereabouts. Attorney Hoffkins went to court and received an order the same day granting the father sole custody of the child pending the outcome of the case. A client who was the President of a multimillion dollar corporation whose wife ruining him by running up his legal bills with costly discovery and court motions. Attorney Hoffkins took over the case, and brought the discovery to an end and contained the legal fees. 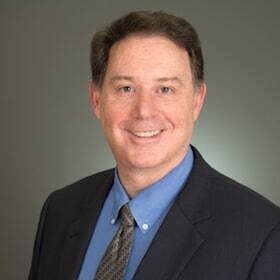 Attorney Kevin L. Hoffkins has successfully represented clients in just about every area of immigration law including all employment based petitions, family based petitions and removal cases. Attorney Hoffkins has successfully obtained National Interest Waivers for his clients which show that his client's presence in the U.S. deserves expedited processing of their cases. He has obtained hundreds of h-1b visas and labor certifications for his clients. Description: Representing children in Juvenile Court who are victims of abuse and neglect. These children are removed from their parents and placed in foster care or in a juvenile facility. I represent the children before the court to insure that their interests are not lost in the litigation. Description: I assist clients referred by this organization on a pro bono or sliding scale basis as warranted. I assist them in family law, employment discrimination or immigration matters. Attorney Kevin L. Hoffkins serves as an elected official in his home town as a member of the Representative Town Meeting.